Lady Gaga stole the silver carpet at the 25th annual Screen Actors Guild Awards. 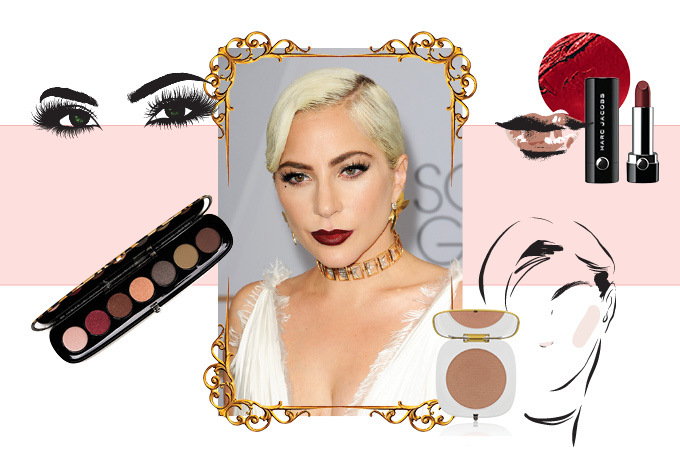 The Best Actress nominee rocked a revamped old Hollywood glam look, courtesy of her makeup artist, Marc Jacobs Beauty global artistry ambassador Sarah Tanno. A celebrity in her own right, Tanno is responsible for creating some of Gaga’s most iconic looks to date. Here is a step-by-step guide for you to get the same glam style at home. 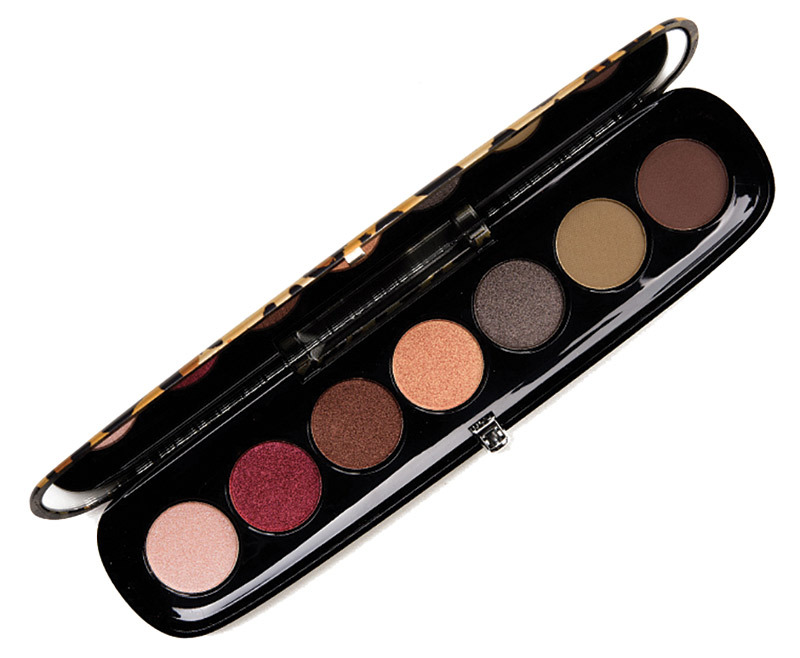 Tanno applied shades from the Eye-Conic Frost Multi-Finish Eyeshadow Palette (pictured) in Flamboyant: Eleganza, a metallic deep taupe shade, all over the lids and under the outer corners and Hey Girl Hey, a metallic pinky-peach, under the brow and on the inner corners. She then used the Highliner Gel Eye Crayon in Blacquer and finished with her go-to Velvet Noir Major Volume Mascara on both the top and bottom lashes. The singer’s flawless complexion was thanks in part to Dew Drops Coconut Gel Highlighter in Dew You? mixed with Shameless Youthful Look Foundation. 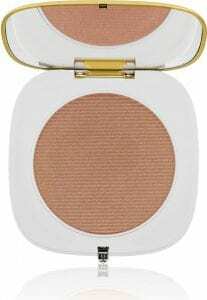 It all was set with Finish-Line Perfecting Coconut Setting Powder and a touch of O!Mega Bronzer (pictured) to give warmth to Gaga’s skin tone. 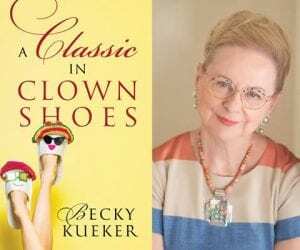 For the final touch, her natural beauty mark was accentuated with a touch of black eyeliner. And if a beauty mark doesn’t scream Old Hollywood glam, I don’t know what does! To create the perfect vampy pout, Tanno started by heavily lining Gaga’s lips with Poutliner Longwear Lip Liner Pencil in Currant Mood. 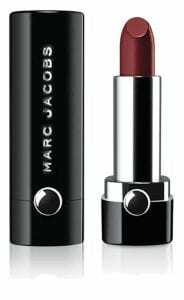 She then blended Le Marc Lip Crème Lipstick (pictured) in Blow, a dark berry velvet, with a pop of Dashing, a cherry red, just in the center to brighten the lips. Gaga’s velvety lips perfectly matched her oxblood nails, seamlessly tying her look together.